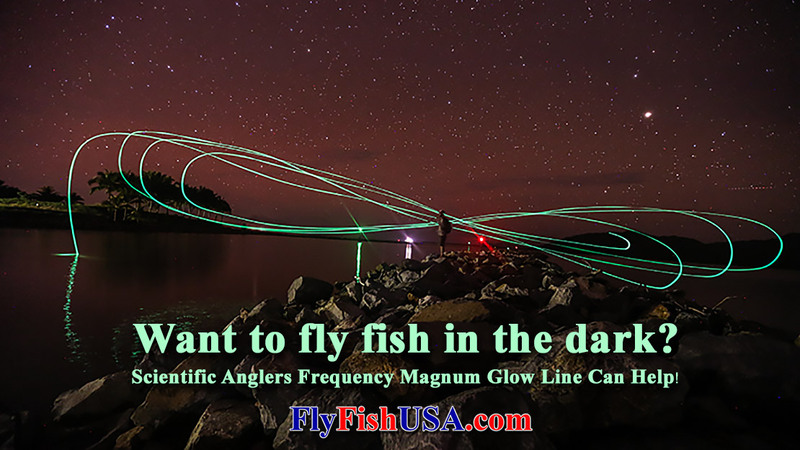 Scientific Anglers Frequency Magnum Glow Line Magnum Glow Line for night or day, saltwater of fresh water fishing. 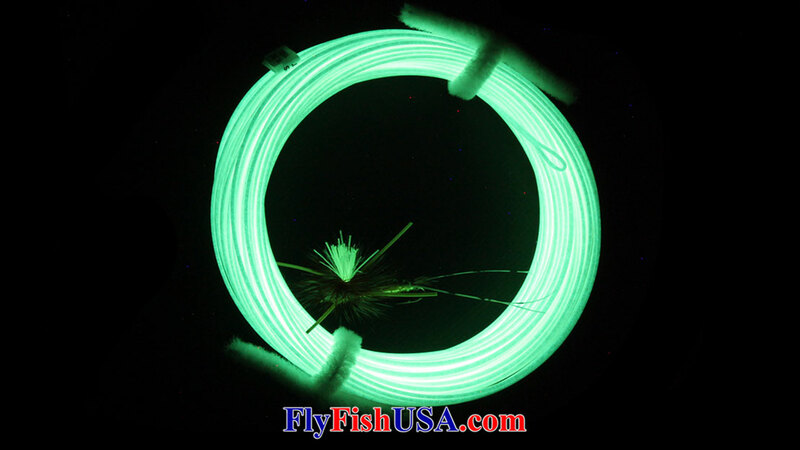 Wouldn't you like to be able to see your fly line in the dark? Now you can! Think of this as the best line for fishing the nocturnal Hex hatch. Wouldn't it be handy to have an idea where your fly line was laying on the water, or when you hook that big trout, which way it ran into your backing.